Pearson is the UK's largest awarding body and is regulated by Ofqual (England), SQA Accreditation (Scotland), CCEA Accreditation (Northern Ireland) and Qualifications Wales (Wales). They offer academic and vocational qualifications that are globally recognised and benchmarked, with educational excellence rooted in names like Edexcel, BTEC, EDI and LCCI. 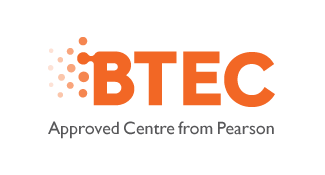 The Business & Technology Education Council (BTEC) suite of vocational qualifications is recognised by employers and higher education institutions worldwide. They have been developed to provide the required knowledge, understanding and skills, in an industry-focused context, to ensure progress into or within employment and/or the option to continue study in the vocational area. When combined with academic learning in a school or college (or as a stand-alone course in further or higher education), a BTEC develops a range of practical knowledge and skills which help learners to prepare for – and progress in – their chosen career. BTEC Higher National Diplomas are becoming ever more important in today’s fast-moving world. Students can no longer expect to pass examinations and walk straight into a job. Employers are looking for people with additional skills who can contribute to the workplace in a meaningful way. SBCS has been offering BTECs since 2004, and to date delivers the qualification in Business, Computing, Engineering (Automotive; Building Services; Electrical; Mechanical) Graphic Design and Media.